SOLD Deep apple green with GREAT TRANSPARENCY, 2.76ct. 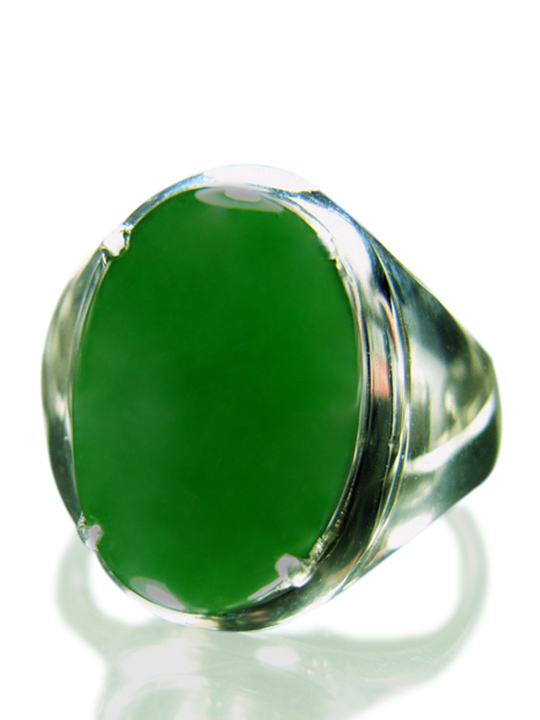 Jade is the gemstone associated with the birthstone month of March. Jade is said to be have a balancing and harmonizing effect, banishing negative thoughts and rejuvenating the wearer during times of stress. In addition to this, Jade is also believed to increase body strength and longevity.